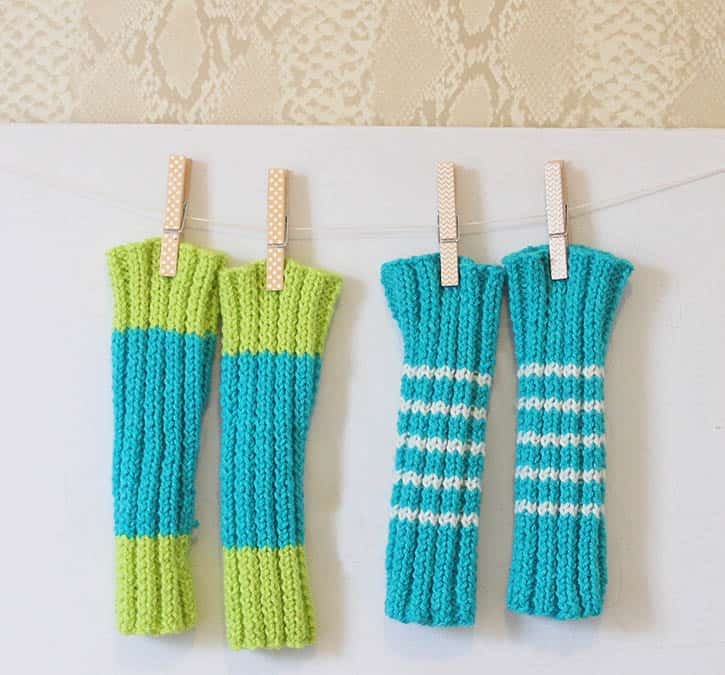 These baby legwarmers are so fast & easy to make! They are designed to be worn either over the knee of scrunched down lower. Bind off loosely, Sew side seam. 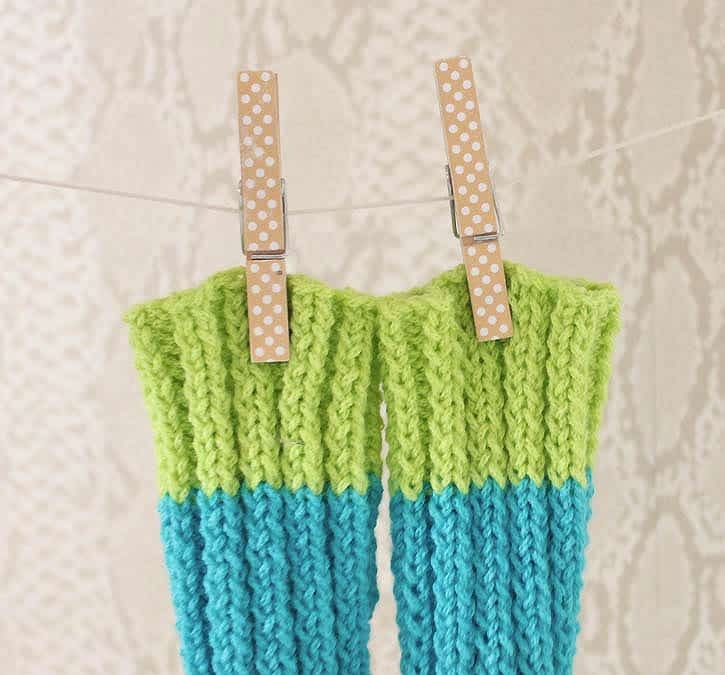 Cast on 32 stitches in the Turquoise color. Work in K2, P2 ribbing for 2 1/2 inches.